While N. Korea dominates headlines, the Senkaku islands still loom over East Asia. 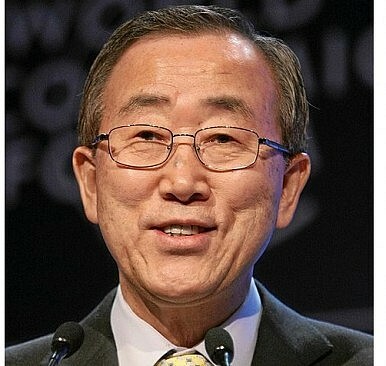 Could Ban Ki-moon help? I recently set out six recommendations to prevent the Sino-Japanese dispute over the Senkaku/Diaoyu islands from turning into an armed conflict. One of these was simple but crucial to helping resolve the issue: Ring Ban Ki-moon, Secertary General of the United Nations. Despite being overshadowed by North Korean rhetoric and actions over the past few weeks, the Sino-Japanese stand-off continues. 1. Appoint a Special Representative for Asia-Pacific Affairs. The Secretary General of the United Nations currently does not have a single special representative working on security issues in the Asia-Pacific. Ban Ki-moon’s only special envoy in the Asia-Pacific region (excluding Central Asia) is in Burma. This needs to change. The seriousness of interstate security crises on the Korean peninsula, and in the South and East China seas, dictates the need for a region-specific envoy with widespread support and credibility. A potential first appointee could be Lee Kuan Yew or Kevin Rudd. 2. Propose a plan for de-escalation. – ALL concerned parties pull back any military assets that maybe operating near the area for one month. – Japan reverses nationalization policy. – UN-sponsored talks, with Taiwan, on future status of islands. 3. Advocate for an INCSEA agreement. Complementing the above peace plan, the SecGen should throw his weight behind a potential Incidents at Sea Agreement (INCSEA) between Japan and China. There is some intellectual support behind this initiative. The SECGEN could help by channeling this latent support into a concerted diplomatic proposal. For example, Ban Ki-moon’s new representative could consult with regional think tanks, academics and governments – including the U.S. and Russia, whose experience this model is based on. Their input could feed into a formal UN proposal for an INCSEA between Japan and China. 4. Travel to the islands. Most high-level preventive diplomacy occurs in private meetings which go unreported by journalists or historians. There is a persuasive logic behind this approach: diplomatic initiatives that fail can be denied, disavowed and buried from the public record. However, there is also a case to be made for Ban Ki-moon, who is known as a true pioneer of preventive diplomacy, connecting his behind-the-scenes strategy with a bolder public presence on the world stage – and, in this case, on the islands themselves. The father of preventive diplomacy, Dag Hammarskjöld, famously traveled to China during a Sino-American crisis early in his tenure. Ban Ki-moon should draw on Hammarskjöld’s legacy. An official visit to the disputed islands would be a potent signal of the power of his office, a potential catalyst for unclogging diplomatic channels between Japan and China and a symbol of the UN’s focus on Asia. 5. Declare the dispute “a threat to international peace and security." In the worst case scenario, if none of the above moves by the UN suffice to force a peaceful settlement to the dispute, the Secretary General has one ace up his sleeve. It is a very bold move and, as such, should be reserved for a gloomy day. As mandated by Article 99 of the UN Charter, Ban Ki-moon is empowered to bring the Senkaku/Diaoyu islands to the attention of the UN Security Council. This move would be sure to invite China’s vitriolic rebuff and a potentially bruising public debate. This is the last option which the Secretary General should consider, but he should consider it well in advance of that unlucky day.